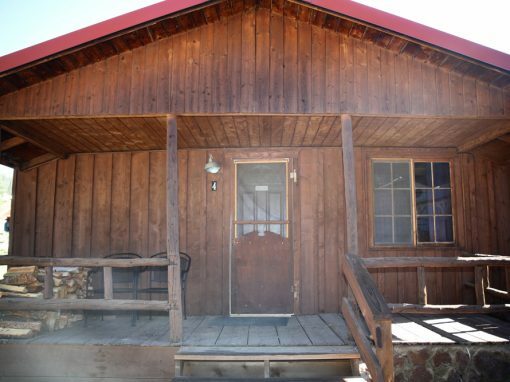 Cabin 1 is one of the oldest cabins on our property. 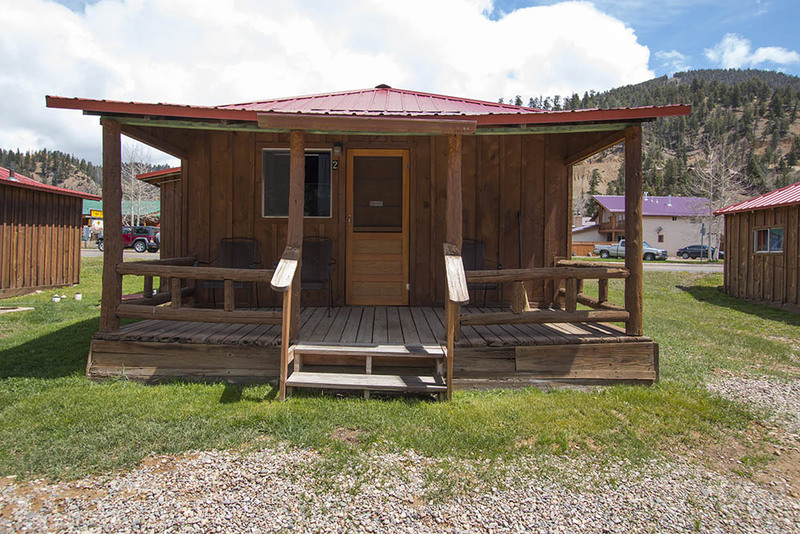 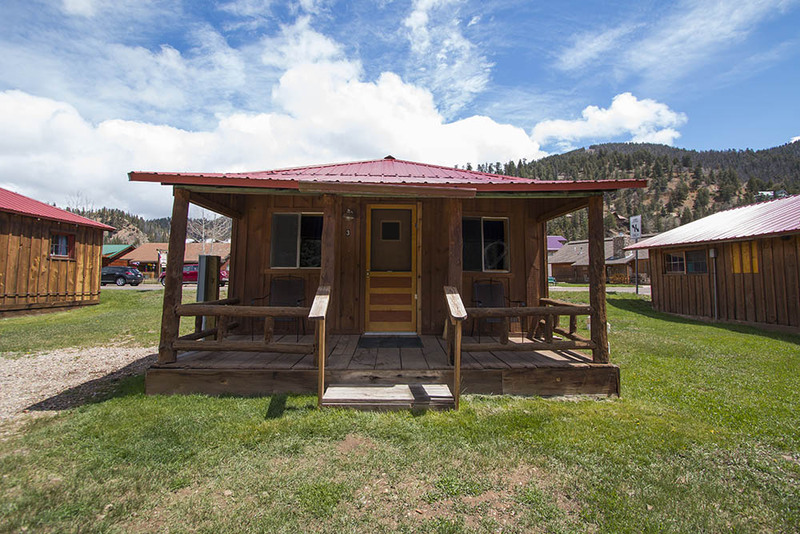 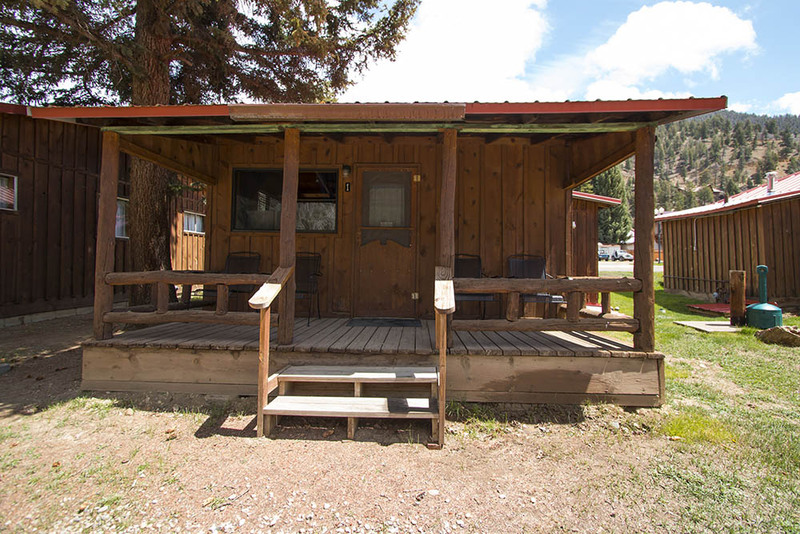 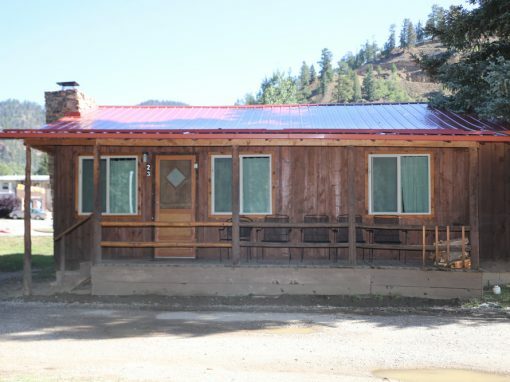 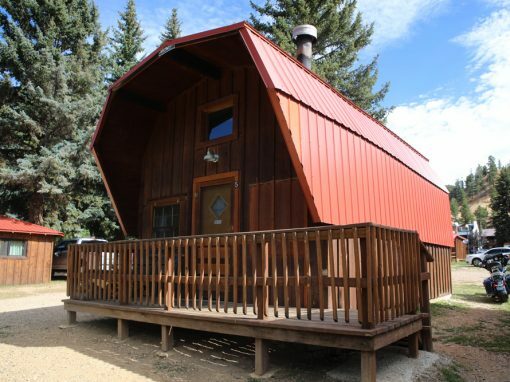 It was built during the time that the Rio Colorado had camping cabins with outhouses, and a shared bath house. 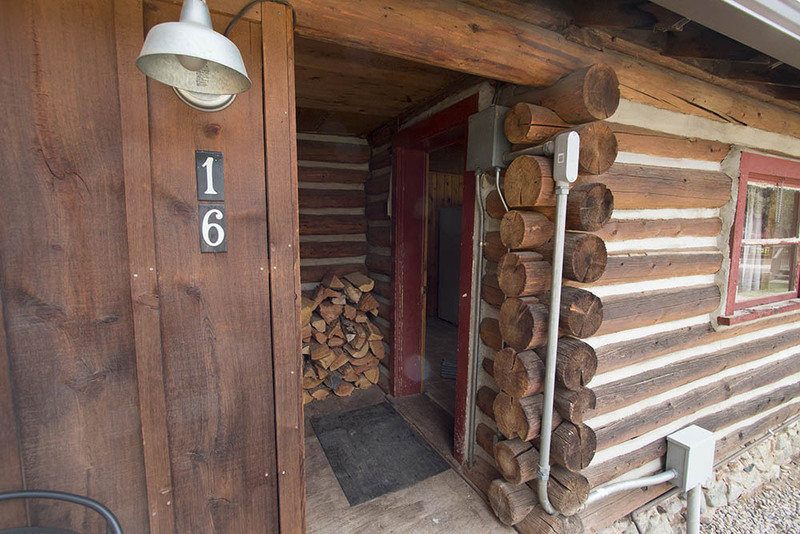 As you can easily see, the bathroom was added as an afterthought several years later. 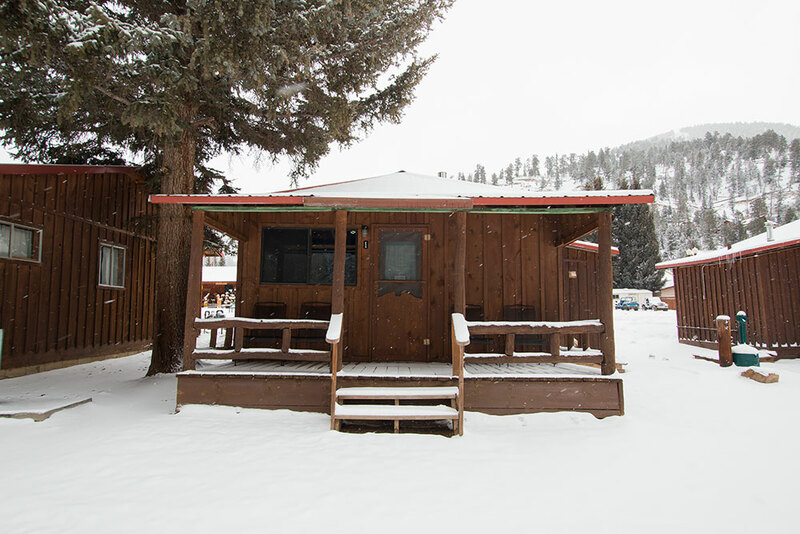 Cabin 1 has recently been remolded. 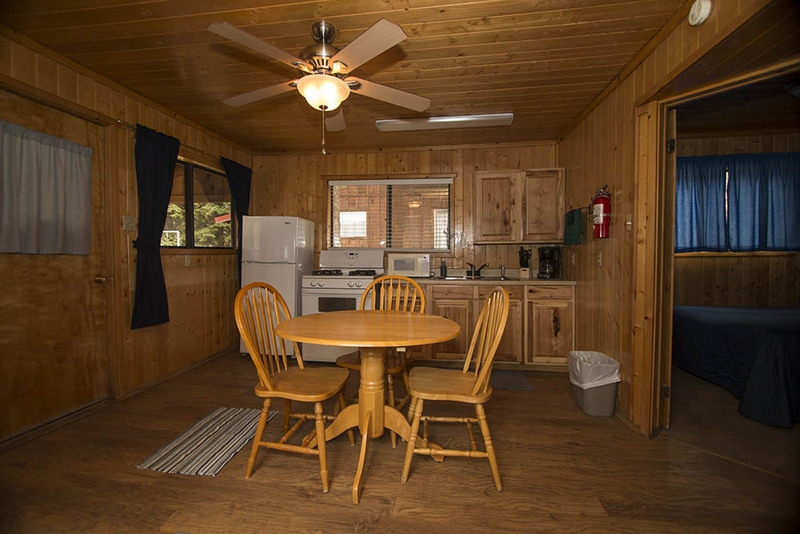 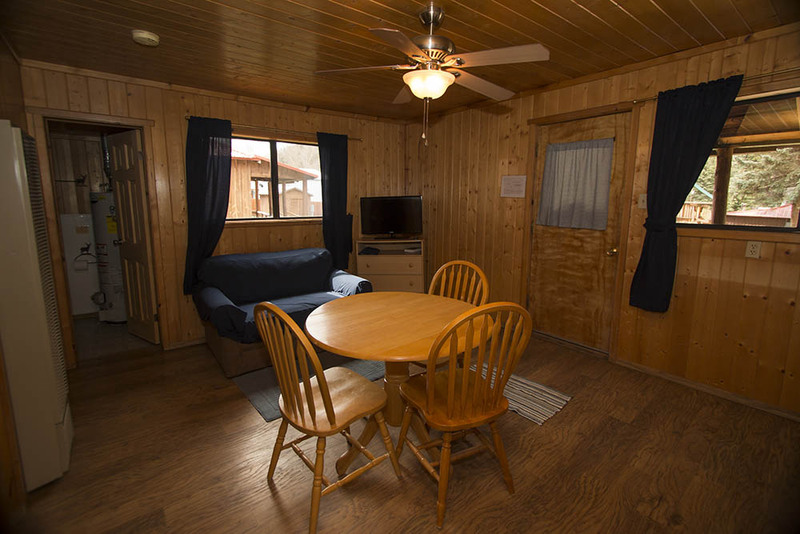 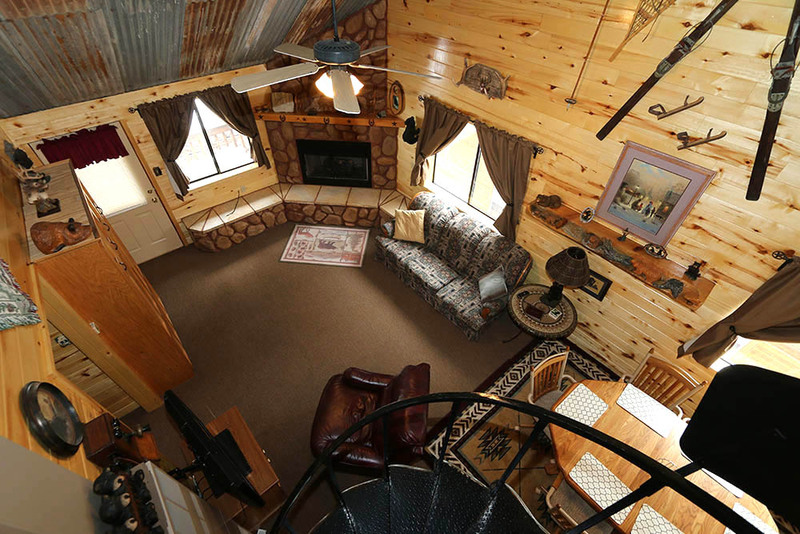 It is one of our smaller 2 bedroom cabins. 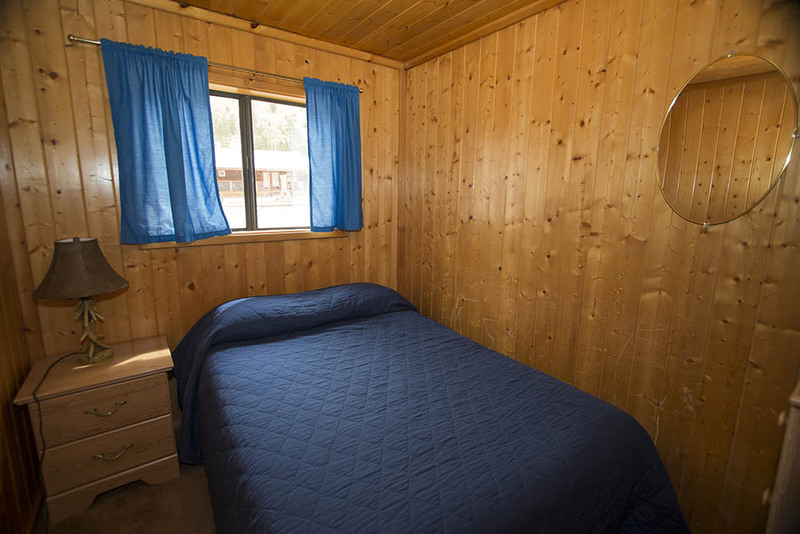 Cabin 1 has one full size bed in each bedroom, a single sofa bed in the living room, a full size kitchen and one bathroom with a shower. 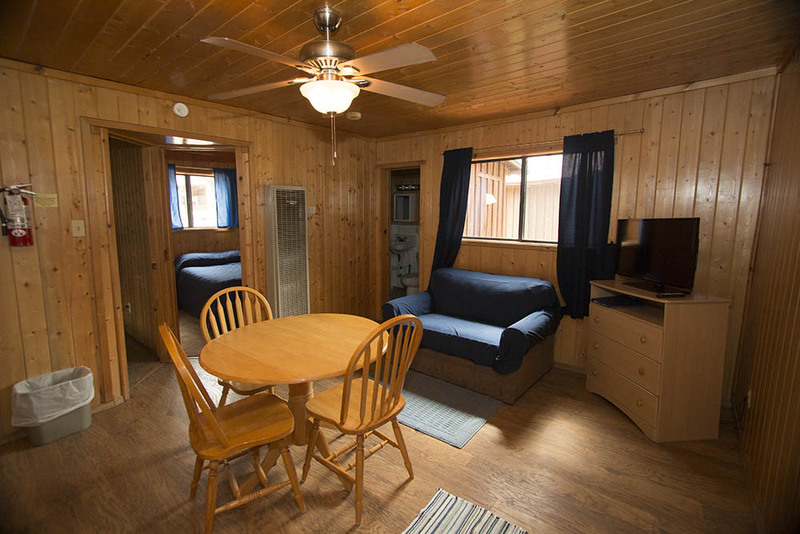 Cabin 1 will accommodate a maximum of 4 people including children. 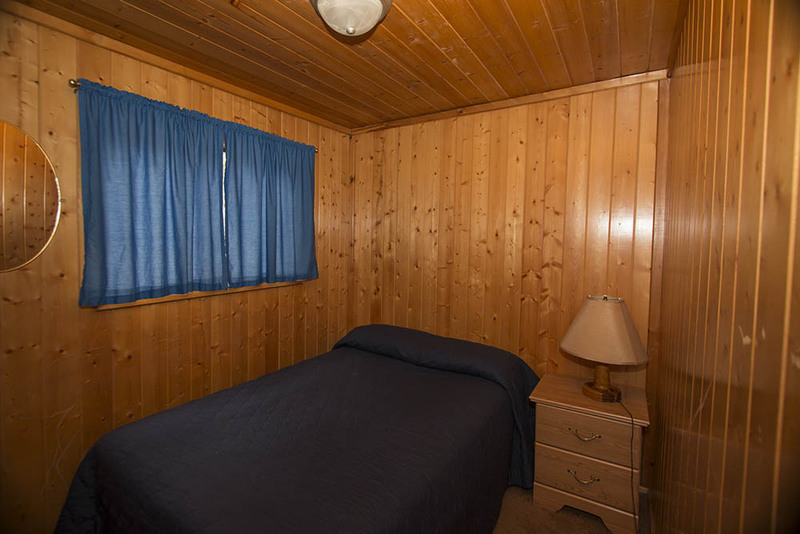 This cabin does not have a fireplace. 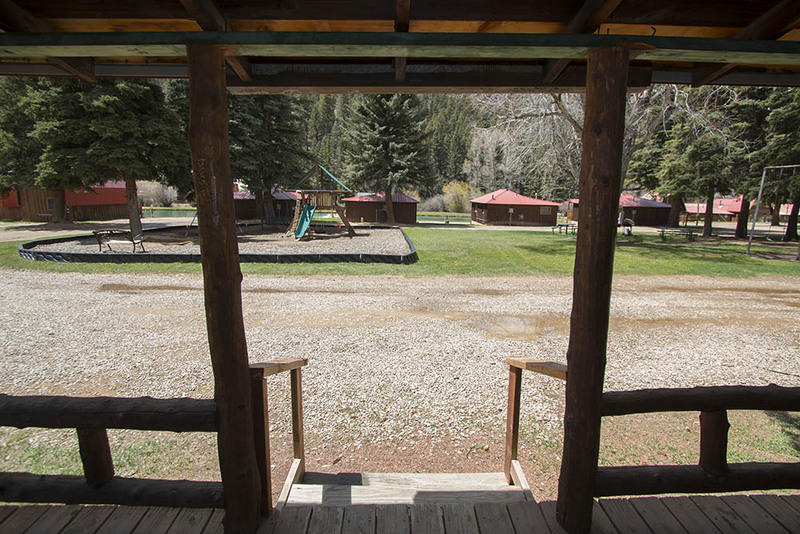 It backs up to Main Street and faces our playground/picnic area. 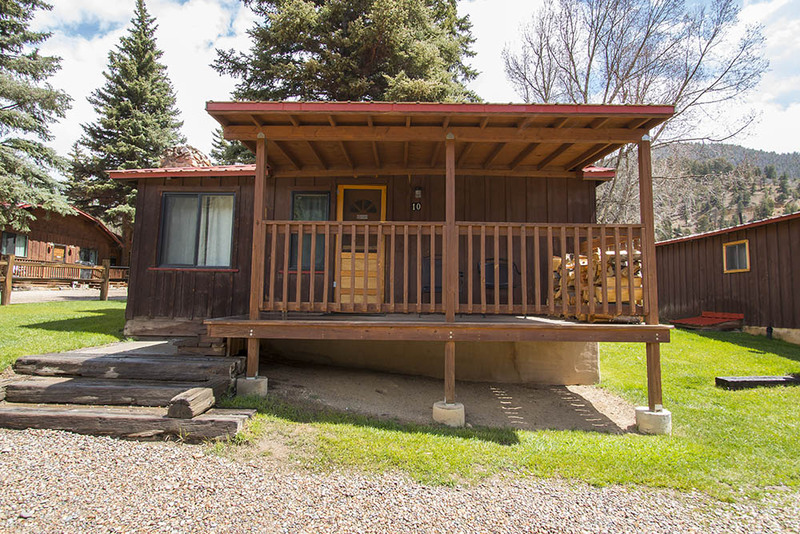 The pond and mountains are visible from the covered porch. 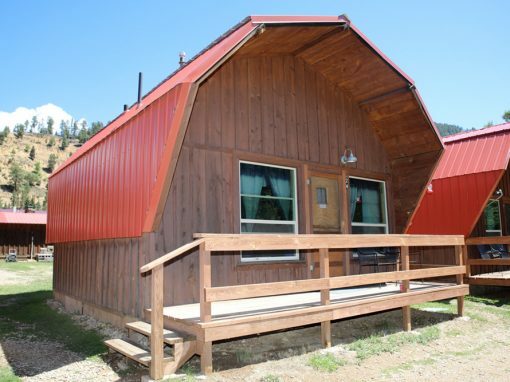 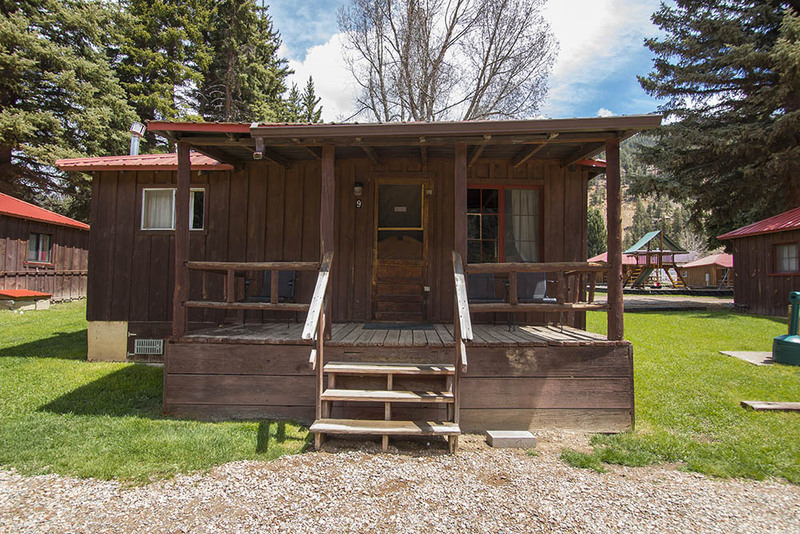 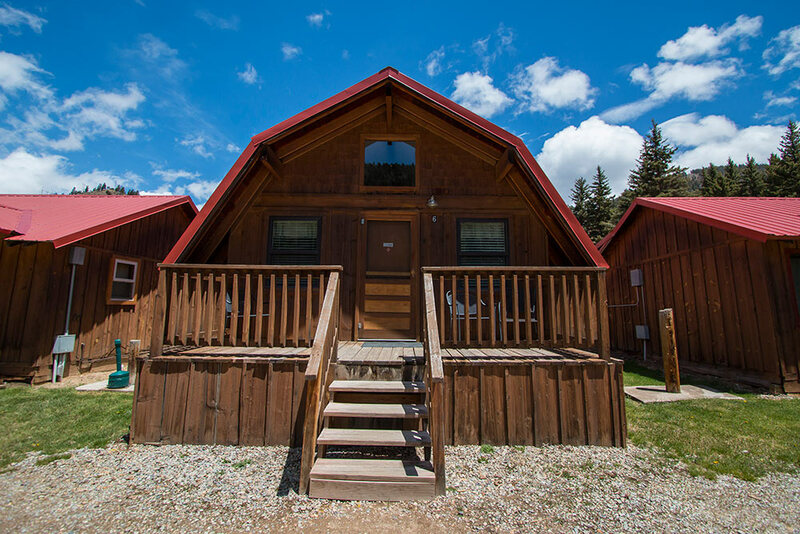 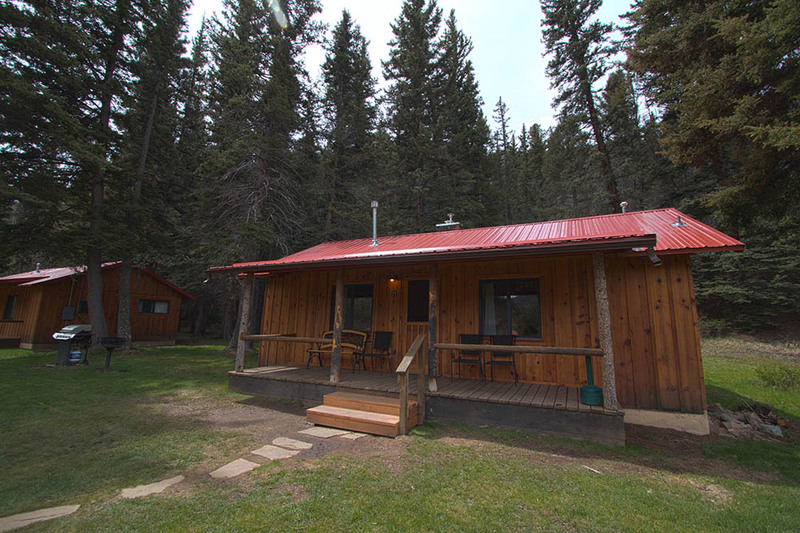 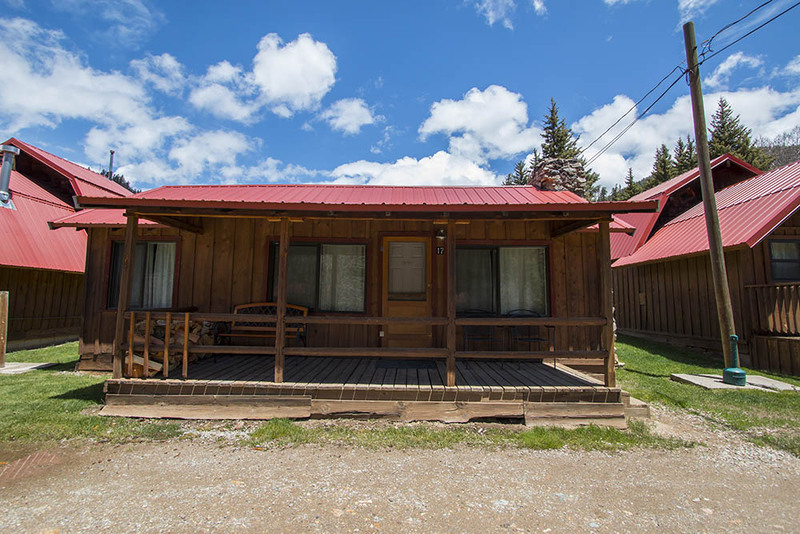 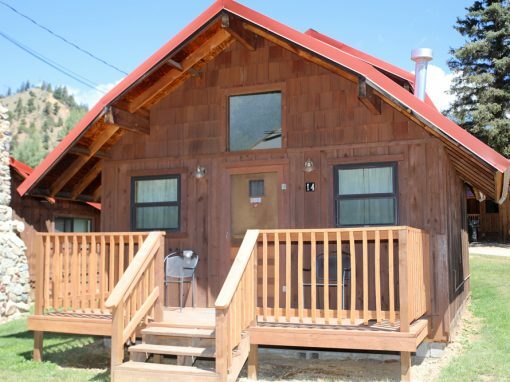 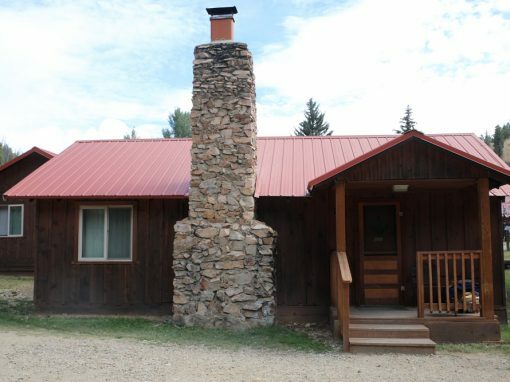 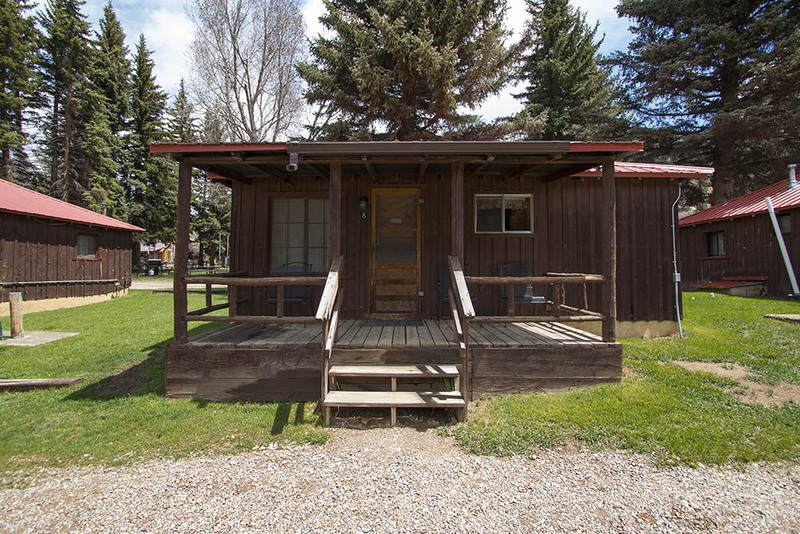 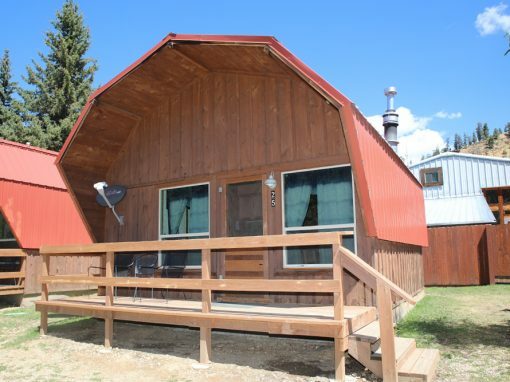 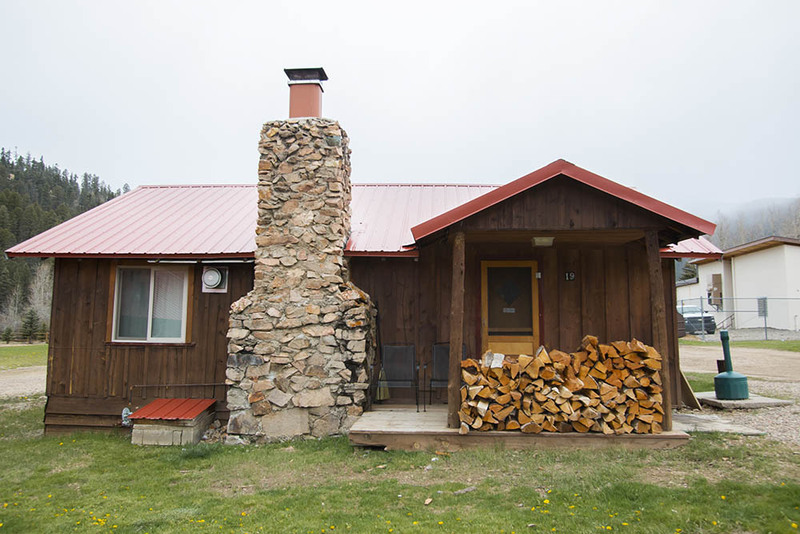 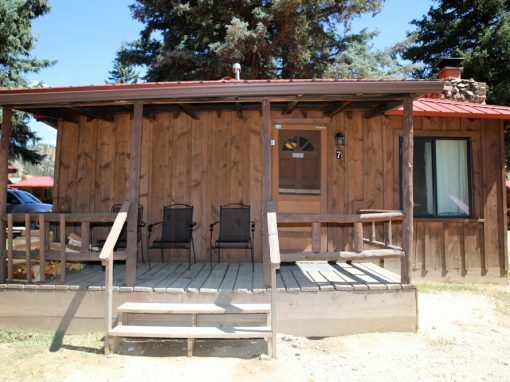 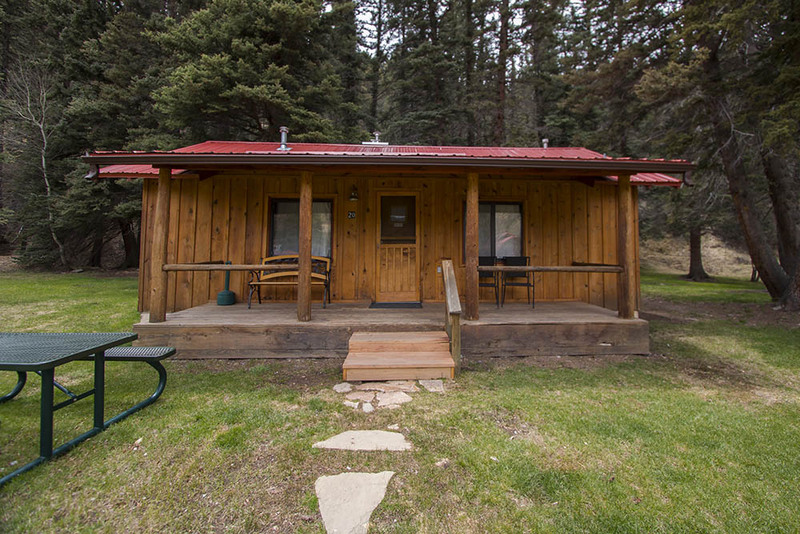 This Cabin is pet friendly for an additional fee and is non-smoking.Cabin 1 is only available May – October.